3. 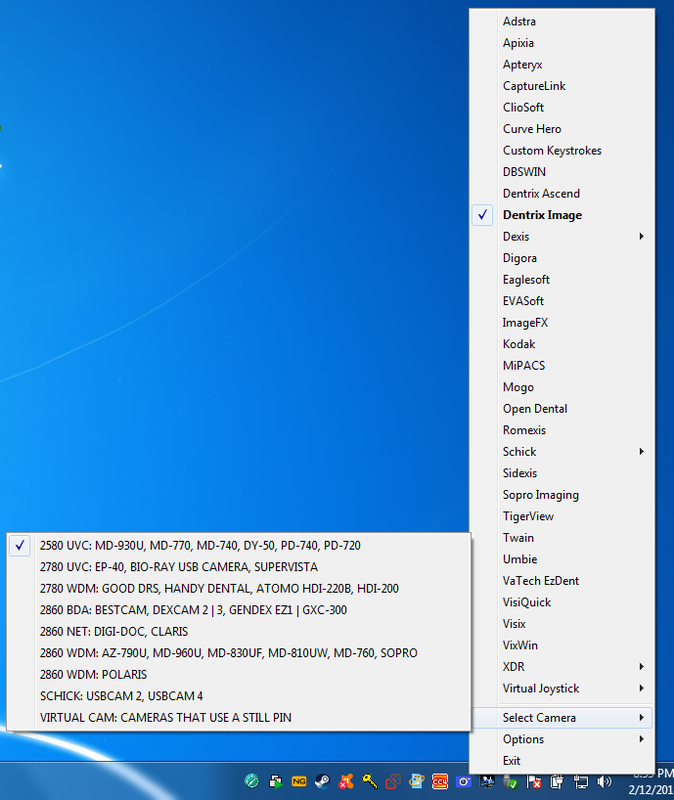 Now set the name of the Virtual Camera. 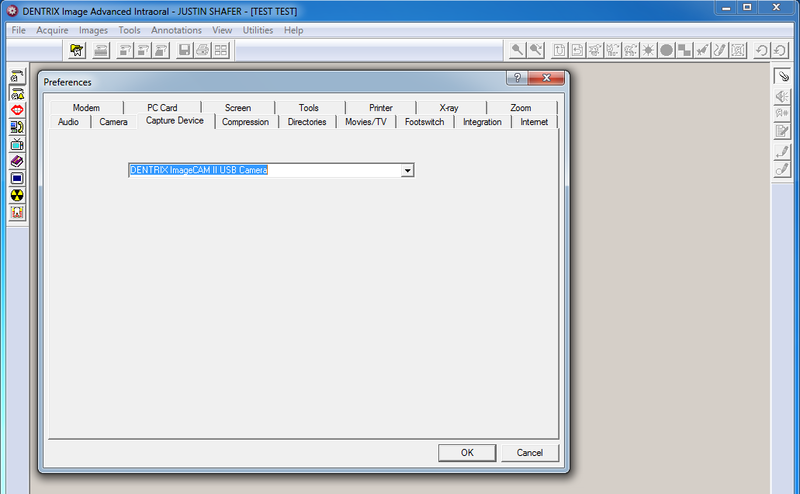 Right click the Blue Camera in your system tray, go to Options, and left click on Virtual Camera Name. 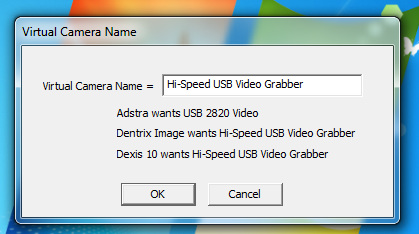 Set the name of the Virtual Camera to Hi-Speed USB Video Grabber, and click the OK button. 5. 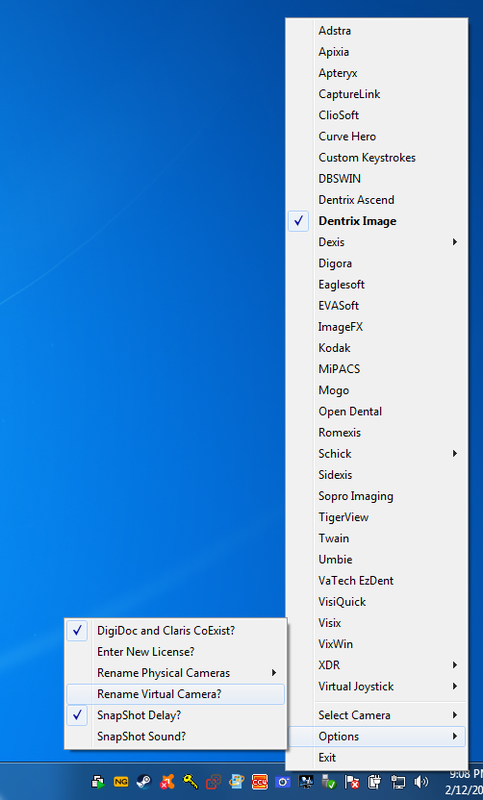 Click on the Capture Device tab and use the drop-down menu and select DENTRIX ImageCam II USB Camera and click the OK button. 6. Now you are ready to use the camera. 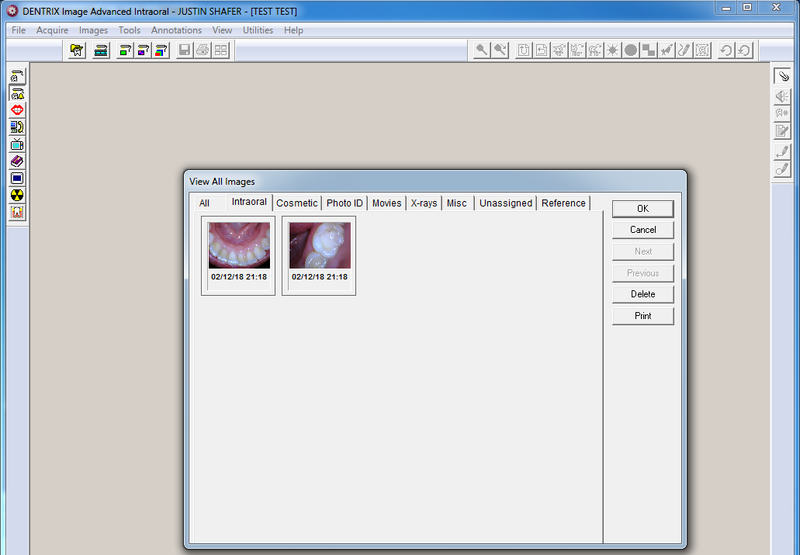 Either you can use the Dentrix Chart’s Intraoral Camera Icon to use the camera, OR you can click Acquire, Intraoral Camera, and click on Capture Full Screen since we are already inside of Dentrix Image. 7. 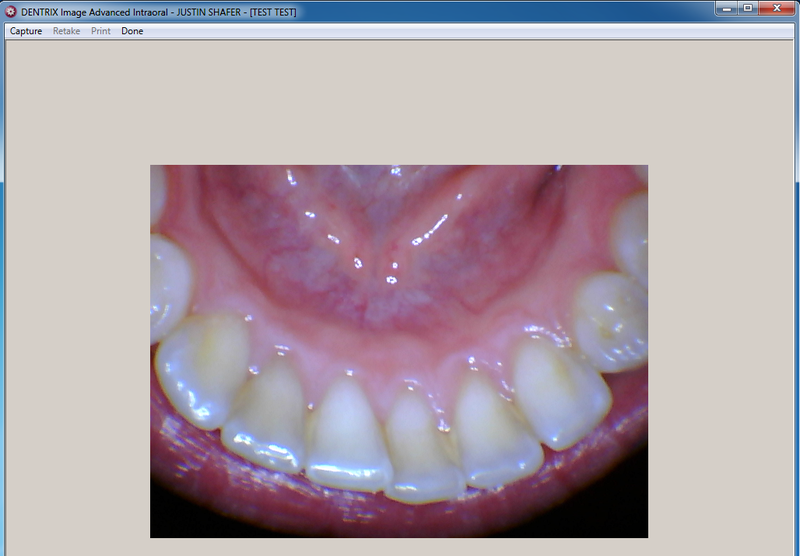 Now you may take images with the camera’s capture button. 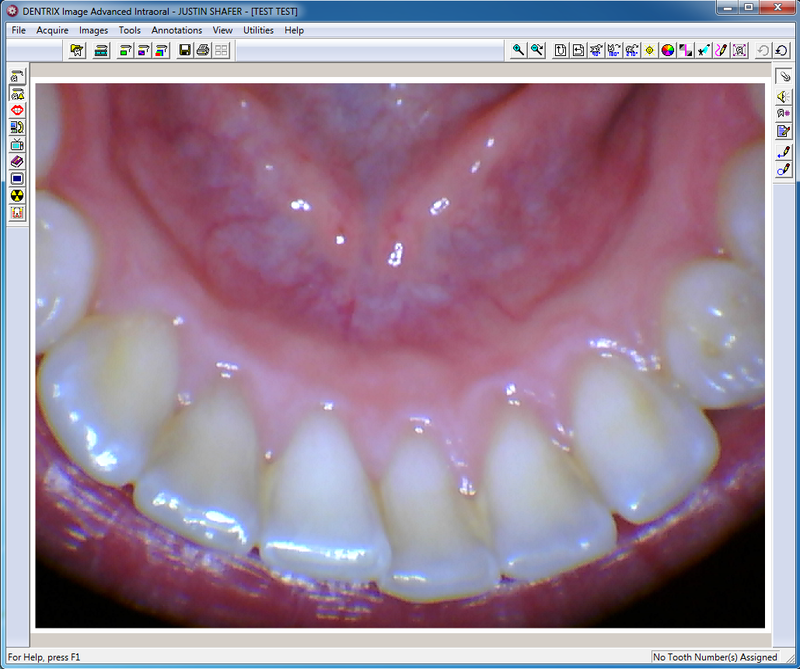 Each time you click the capture button on the camera, an image will be saved into Dentrix Image. Click on Done when you are finished. 8. 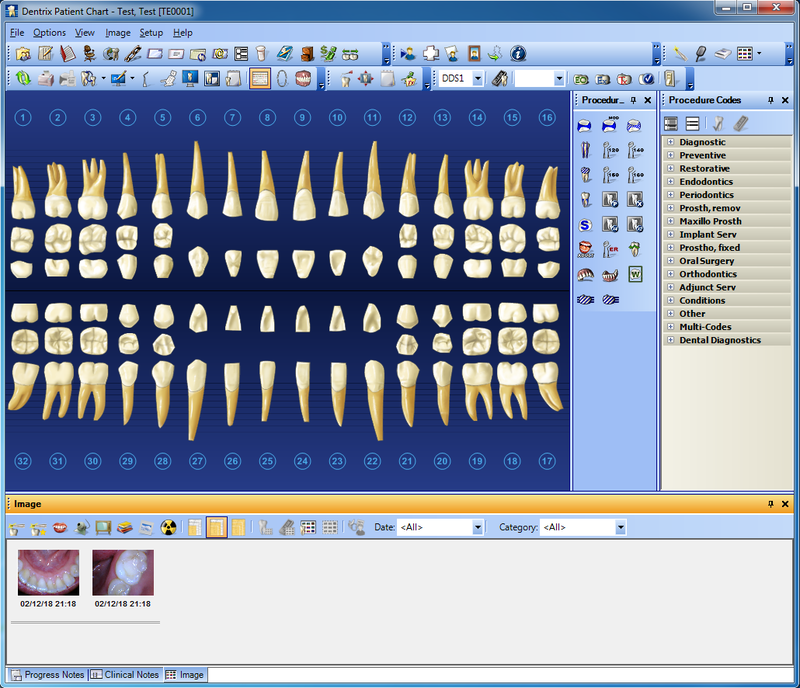 The images are now saved into Dentrix Image, and accessible from the Dentrix Chart. Click on Images and View All Images to verify.